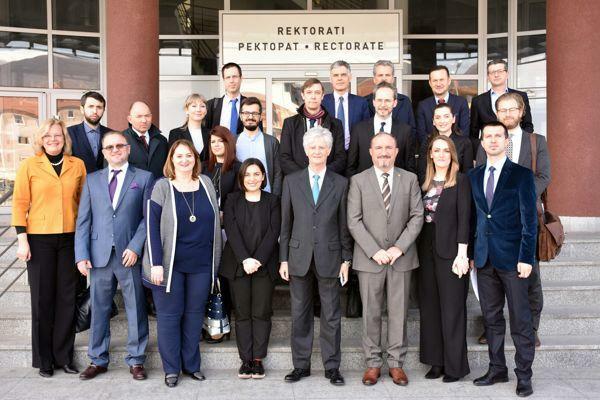 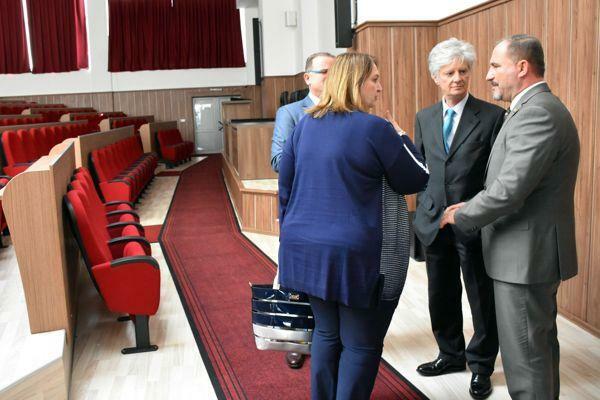 Representatives of Austria’s Ministry for Europe, Integration and Foreign Affairs, together with Austrian regional ambassadors for the Balkan countries, visited the University of Tetova where they were welcomed by the Rector, Prof. Dr. Vullnet Ameti and his team. 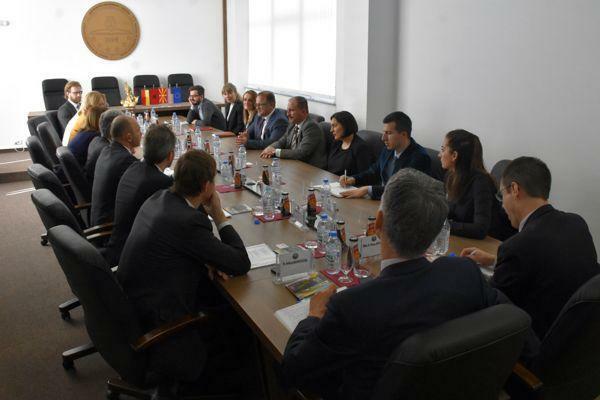 This delegation of Austrian diplomats was led by the Ambassador of Austria to Macedonia, Renate Kobler and the Head of the Sector for Western Balkans and Enlargement of the European Union at the Ministry of Europe, Integration and Foreign Affairs of Austria Dr. Klaus Worfer, accompanied by the Director of the Directorate in this Ministry, Dr. Thomas Muhlmann as well as the official of this ministry, Oskar Benedikt. 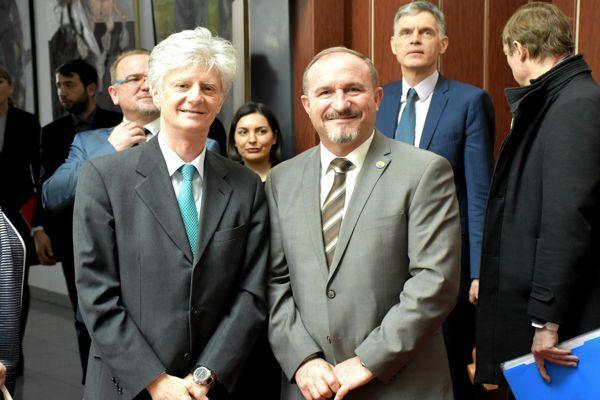 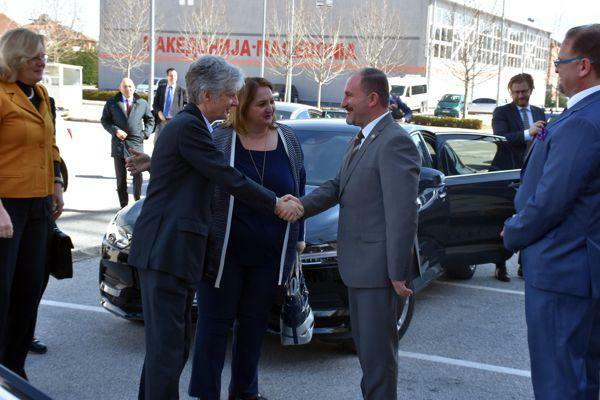 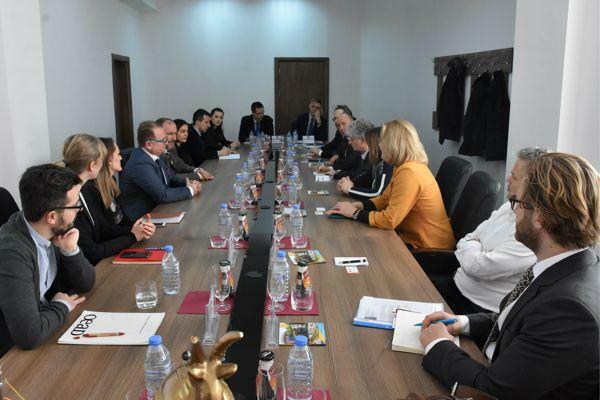 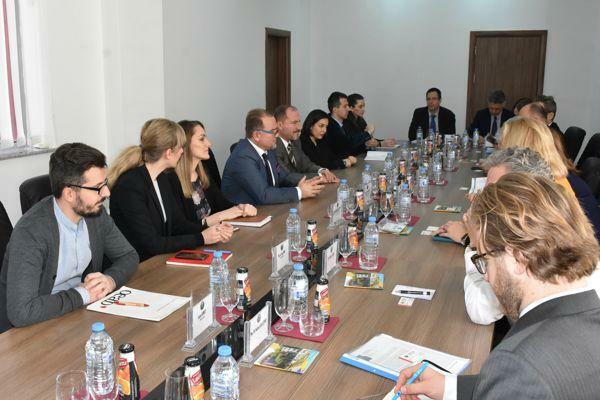 This meeting was also attended by: Ambassador of Austria in Pristina, Gernot Pfandler, Ambassador of Austria in Sarajevo, Martin Pammer, Ambassador of Austria to Tirana, Johan Sattler and the Ambassador of Austria in Podgorica, Anna Jankovich. 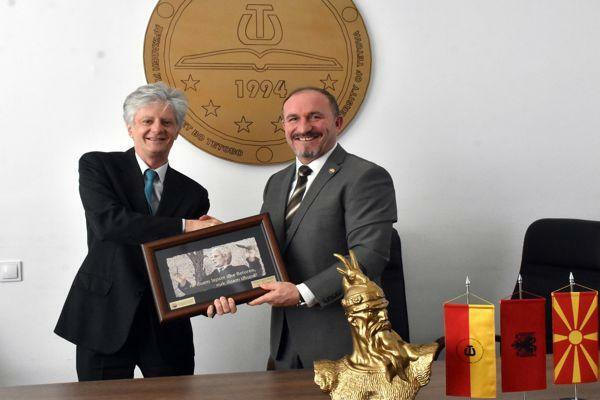 In the beginning, Austrian diplomats in the meeting with the Rector, Prof. Dr. Vullnet Ameti, were informed about the history of the University of Tetova, including the contribution and sacrifice of the Albanian people in Macedonia for the development of this institution, adding that the University of Tetova had great influence on the development and emancipation of the society in the Republic of Macedonia. 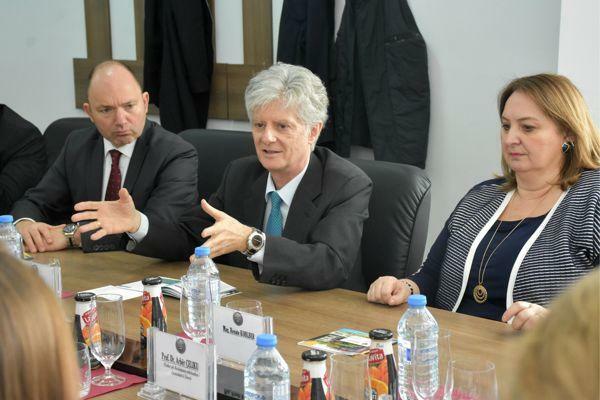 Head of the Western Balkans Sector and Enlargement of the European Union at the Ministry of Europe, Integration and Foreign Affairs of Austria, Dr. Klaus Worfer, expressed his interest in the cooperation that our University has established with the Austrian Embassy in Macedonia and the universities from Austria. 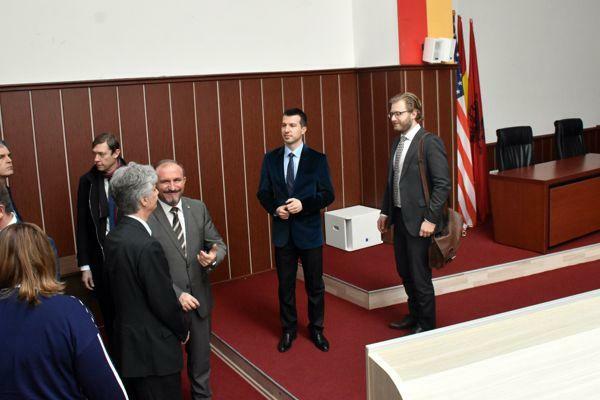 They were also informed of the cooperation that University of Tetova has with Austrian Embassy in Macedonia, where the Austrian Corner is already opened in our University, which is an open window of friendship between Albanian and Austrian people. 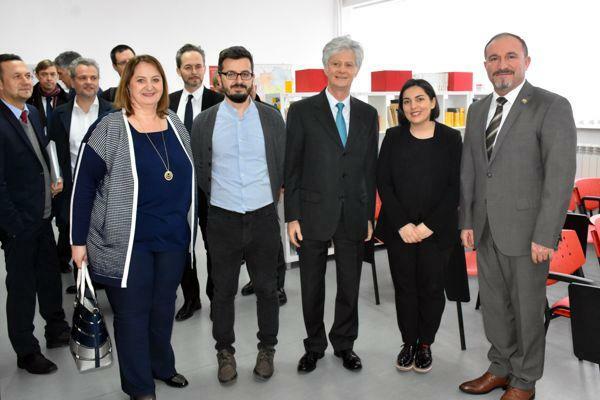 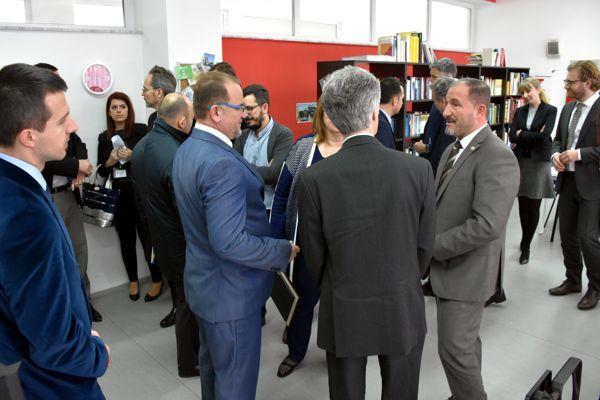 Cooperation with the Austrian universities was also highlighted, where the exchange of students and academic staff under the Erasmus Plus Program is under way. 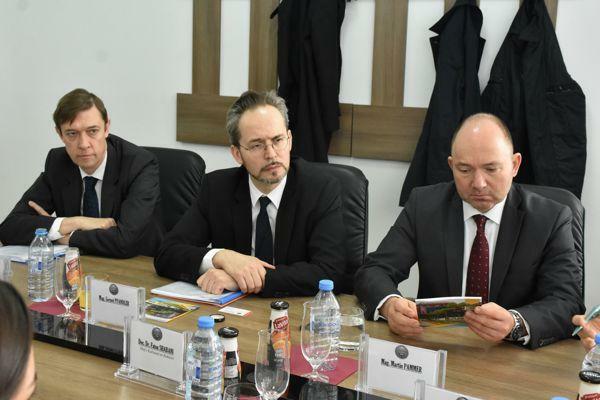 Rector, Prof. Dr. Vullnet Ameti thanked Austrian diplomats for visiting UT, adding that the institution he leads, together with professors and students, are very grateful to the Austrian state and its embassy in our country for the unsparing help they give to this institution. 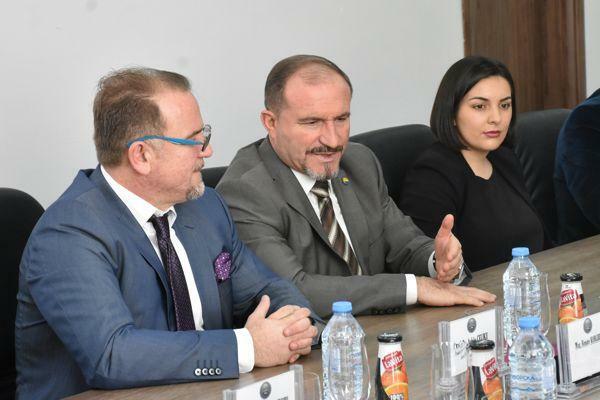 At this meeting, our rector asked them to continue to support the University of Tetova in the road to strengthening its position on the international arena. 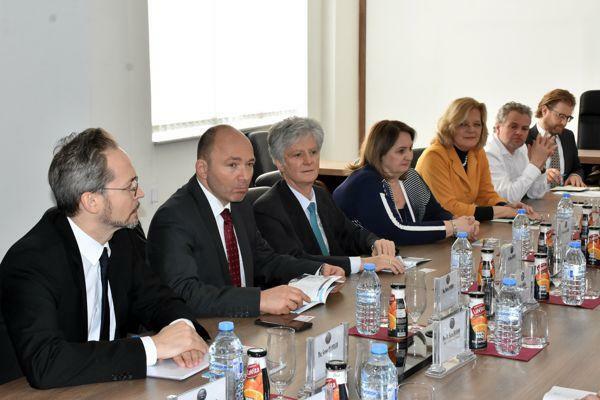 Austrian diplomats expressed their readiness to support and assist the University of Tetova in meeting its institutional objectives. 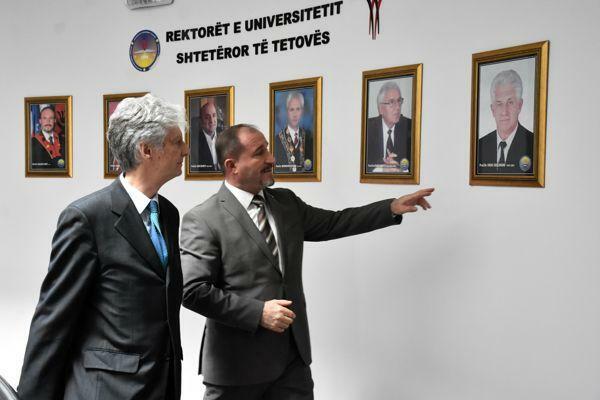 At the end of this meeting, Rector of UT, Prof. Dr. Vullnet Ameti, to Her Excellency, Ambassador, Renate Koblber and Representatives at the Ministry for Europe, Integration and Foreign Affairs of Austria, Dr. Klaus Worfer handed gifts with the portrait of the founder, the first and historical Rector of the University of Tetova, Prof. Dr. Fadil Sulejmani.